OK, so supposing RPatz and the current squeeze Kristen Stewart don't make it -- who are the perfect women for our dashing English hero? 1. Black Swan meets Black Sheep ---Natalie Portman, OK she's pregnant by some French dancer, but this is really beauty and the beast revisited, as in Robert as Vampire and she as the perfect ' Black Swan' ballet dancer. 2.Keira Knightley, this is a perfect British romance between an English rose and an officer and a genetleman. Perfect together. 4. Miley Cyrus. 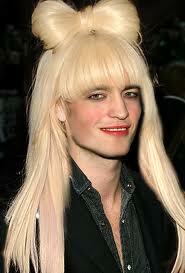 Disney star needs to grow up and Robert would be the perfect match to help achieve that.